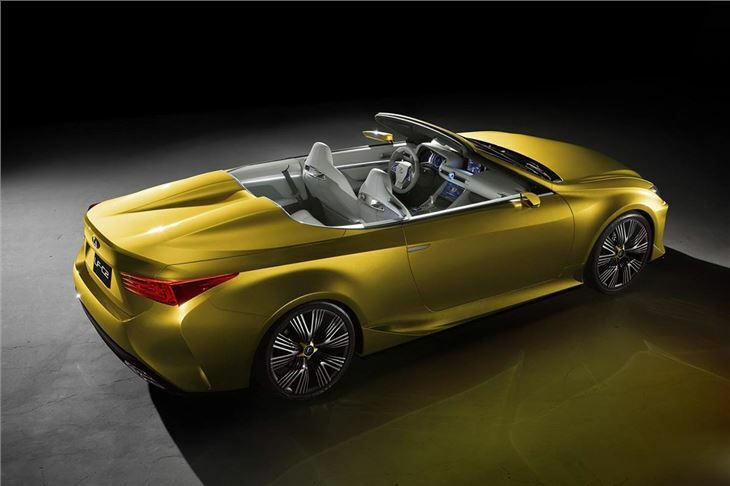 Lexus has revealed a 2+2 Roadster model called the LF-C2 at the LA Auto Show. 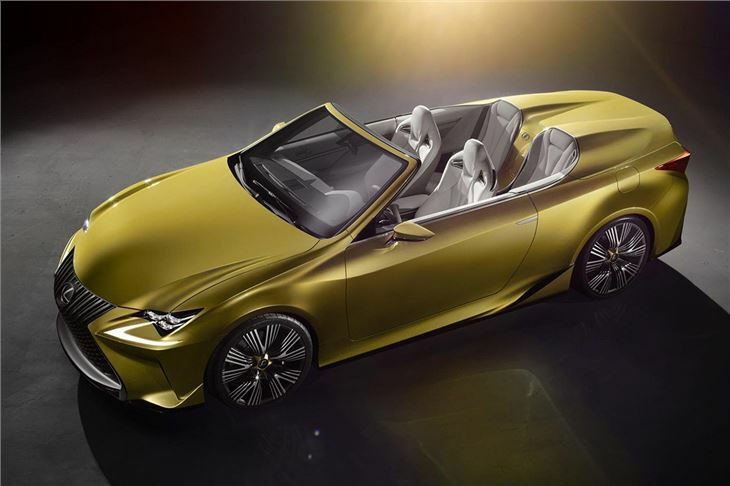 Lexus is calling the car a concept, but it shares a lot of design cues with the current IS and upcoming RC models, so it is a likely candidate for production. Expect it in the UK from 2016. 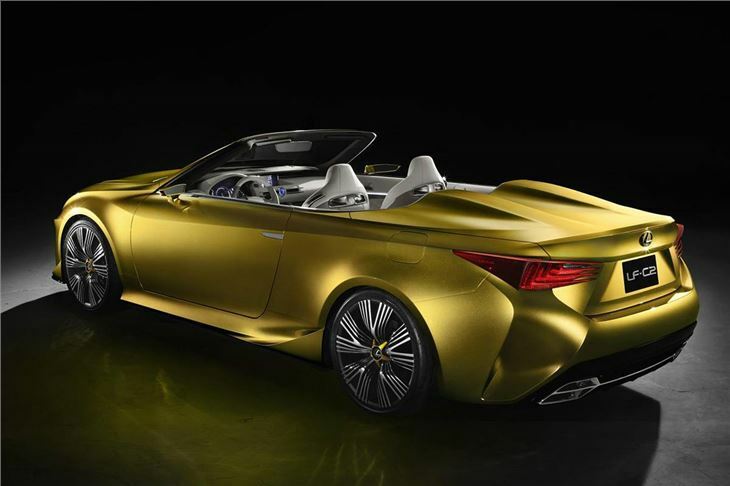 The exterior styling uses a blend of sharp angles and swooping lines, which Lexus says are “influenced by the way surface shapes interact with different types of light.” The paintwork is made up of one layer of primer, one of silver, then clear coat before yellow and a top coat, giving it a liquid metal type finish. The 2+2 cabin features white leather upholstery, while elements of the exterior continue inside, like a transmission tunnel finish to match the exterior paintwork. There are two small, occasional-use rear seats. 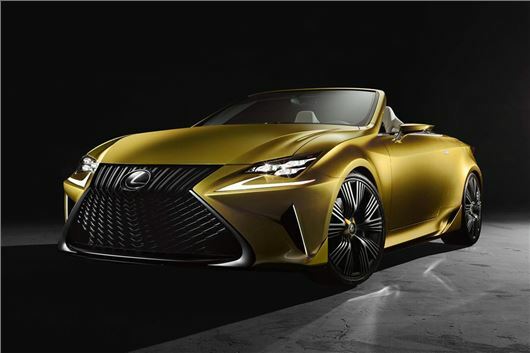 There is no word on engines and performance, but given the similarities between the LF-C2 and the upcoming Lexus RC Coupe it’s fair to assume engines will be shared. That means a 2.5-litre petrol hybrid, a 3.5-litre V6 and a 5.0-litre V8 are on the cards.